The exhibition “The Future is Here: A New Industrial Revolution” will open at the Design Museum in the collaboration with the UK’s innovation agency, the Technology Strategy Board (24 July – 29 October 2013). 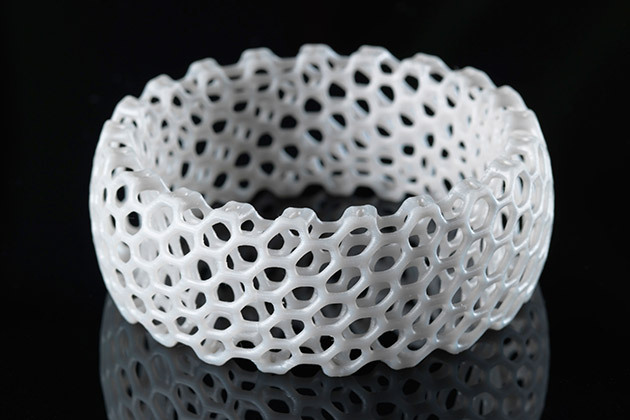 3-D printed bracelet: Credit: NERVOUS SYSTEM. The Future is Here shows how the ways of manufacturing, funding, distributing and buying is changing in a very short space of time. The boundaries between designer, maker and consumer are disappearing with a growing movement of ‘hacktivists’, who share and download digital designs online in order to customise them for new uses. Swing Vote screen. Image source: The Design Museum. 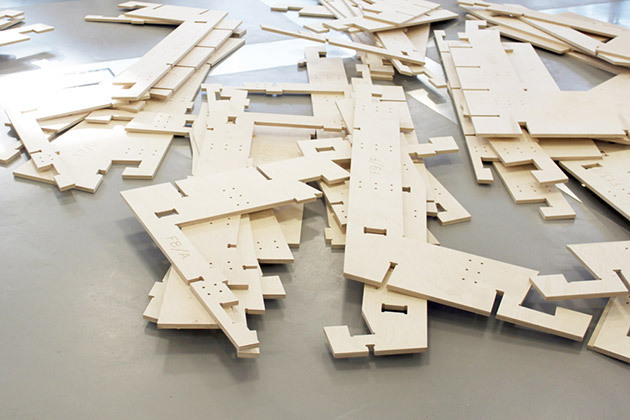 Mass customisation is a central story: from trainer manufacturers offering personalised shoes on a global scale, to 3D printed dolls with features that consumers can design and order online, and other exhibits include an open-source approach to architecture, the WikiHouse. 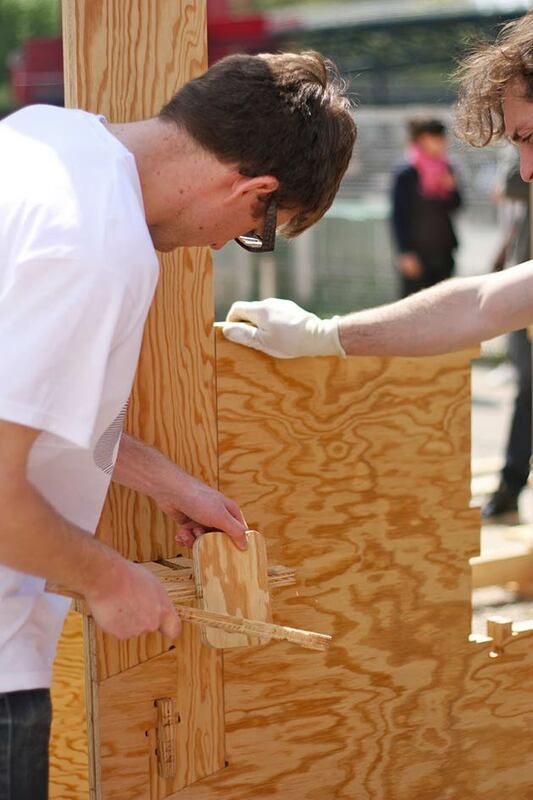 Wiki House is an open source construction set. 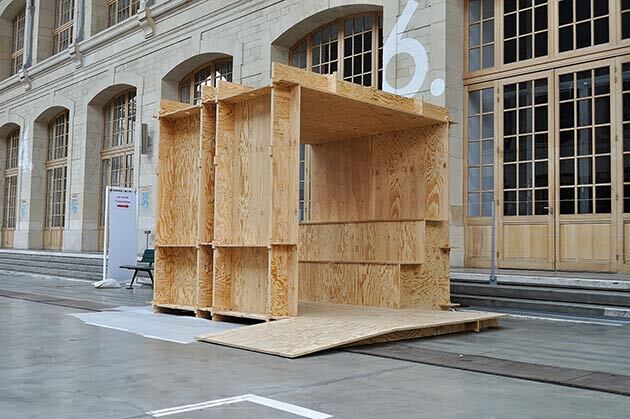 It’s allowing anyone to design, download and print CNC milled houses and components, which can be assembled with minimal formal skill or training. During this exhibition the museum will house the first ‘Factory’ of its kind where visitors will be able to discover how 3D printing works and witness live production. 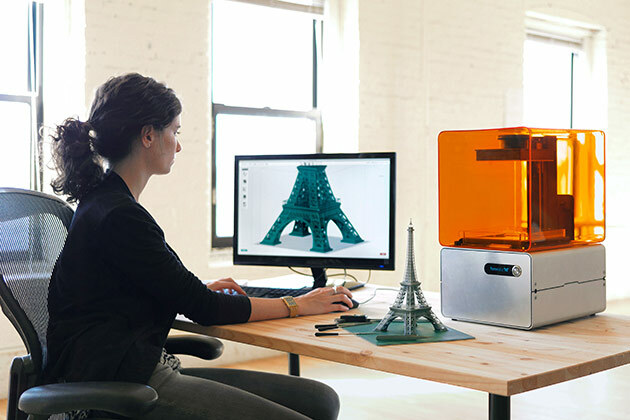 Using the FORM – a high resolution Desktop 3-D Printer. 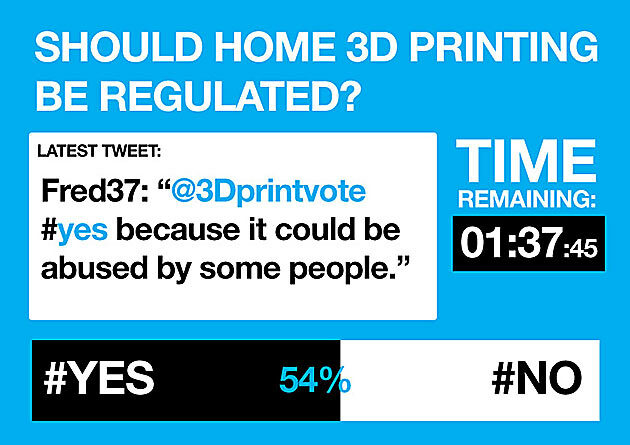 As part of a major new exhibition about the future of manufacturing, the Design Museum has carried out a survey with Ipsos MORI which reveals that just 6%, or one in 17 people in the UK, have an interest in owning a 3D printer. 38% of people in UK say they wish they could slow down the pace of their life. People aged 35-54 want to slow down the most (47%). Just over half (53%) think that people now know more than they used to thanks to the internet, while 37% believe that people know less now because they rely on the internet too much. Emerging technologies and platforms such as crowd funding, social networking digital looms, online marketplaces, 3D printing, nanotechnology, biotech, networked manufacturing, CNC [computer numerical controlled] routing and open-source micro computing, are all removing the barriers of access to manufacturing. 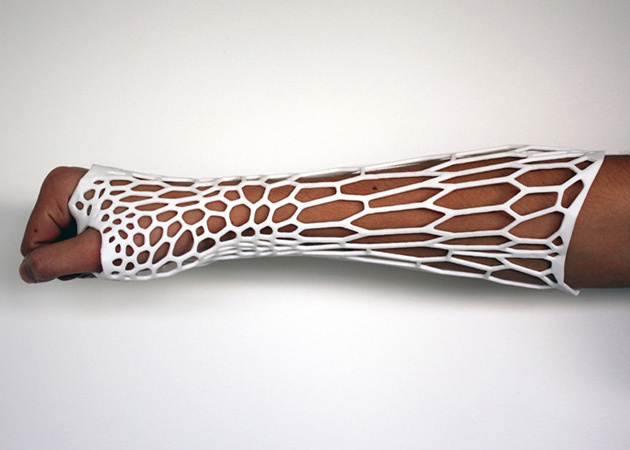 Cortex 3D-printed cast for fractured bones. It’s a conceptual project by Victoria University of Wellington graduate Jake Evill. It is the role of designers and the design process to participate in exciting new technologies, so that more people than ever before can take part in the production of our physical world. – Image Courtesy: The Design Museum.